For the fifth time, I present my best of in various categories. 2013 has been another great year in Fantasy reading and as usual, it wasn't easy to choose between the numerous contenders. 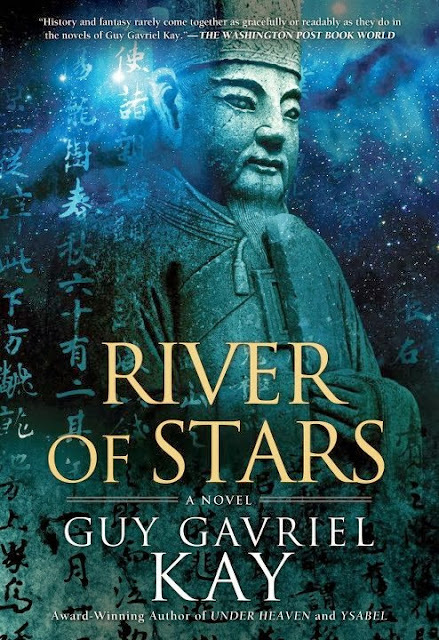 River of Stars was the first Guy Gavriel Kay novel I finished. Not that his previous books were bad, but because the only other book from the author I picked up was the first part of the Fionavar Tapestry several years ago when my tolerance for Fantasy stories with links to the real world was... almost non-existent. Then, after reading several positive reviews over the years about almost all of Kay's books, I finally decided to jump in. I think I have probably missed something, but it's never too late. Even with only one novel read from him, I can say with certainty that Guy Gavriel Kay is now or will become one of my favorite authors. In River of Stars, I was awestruck at his writing. They were many great stories told and characters presented in 2013, but none could rival Ren Daiyan's opus. River of Stars is a tale of remembrance. The remembrance of a legend and how it was shaped. It's the re-enacting of important days and events in an era of China's Northern Song Dynasty and the paths that are taken, that could have been taken to shape that legend, a free interpretation of the mindset of the people who were part of it. Moreover, at the heart of that legend are some unlikely heroes, who, when they are stripped to the bone, may seem like common tropes for the shaping of myths, but ultimately stand as one of the purest form of protagonists worth writing about. The first element of Kay's writing that struck me is the fluid prose skillfully put to paper in a style easy to read and punctuated by an artistic phrasing. On the plus side, while I found the frequent use of parentheses to be annoying at first, simply because I'm not used to it, I thought that it was a great way to accentuate the feelings of the characters or to add precision to a situation. Still on the writing style, there was another aspect that I found unusual, the references to the future and the many insights into what happens to the characters in their future. River of Stars isn't a tale told in a present period with references to the past, it's a recounting of a turbulent period in a way reminiscent of a thesis on a part of history, brightened with an author's pen with a penchant toward introspection. 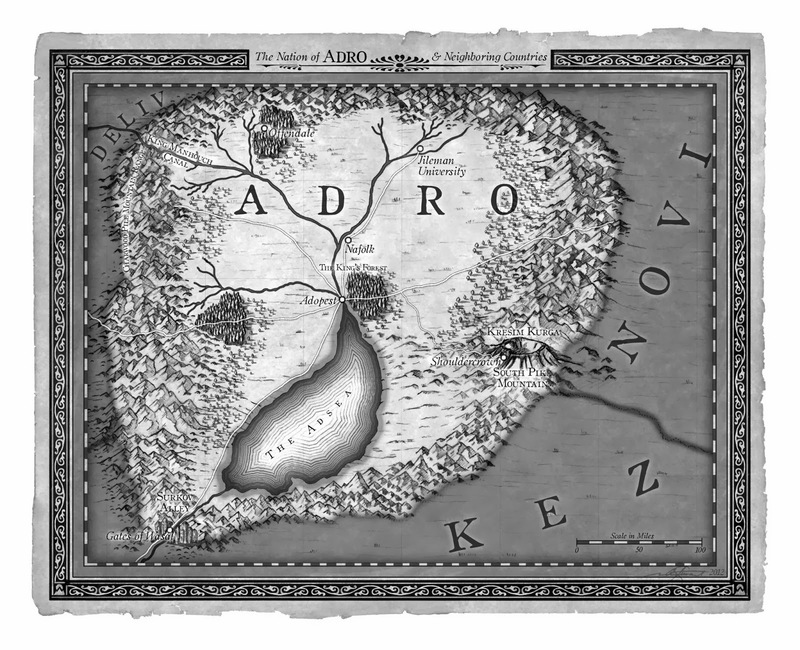 River of Stars is bringing some of the High Fantasy in his Historic canvas. Not in term of huge battle scenes or heroic vanquishing of an evil overlord but in the sense that the quality of the work is greater than many of his fellow writers, in design, focus and plot for a story of epic proportion. It's not the funniest tale, it's not ruthless in term of page turning action but it's definitely a book worth picking up. A nice change in a period dominated by grimmer works. 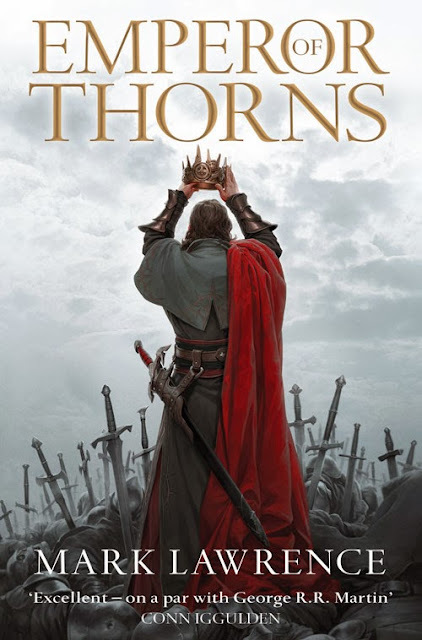 Mark Lawrence was my favorite debut author of 2011 with Prince of Thorns and the follow-up, King of Thorns was my favorite book of 2012. When I picked up the last book in the trilogy, I had high hopes and they were met masterfully. Lawrence successfully completed his story in Emperor of Thorns by giving us an unbelievable protagonist (in a positive way) that stayed true to the end. The one thing that may have put this book as a runner-up in this category was the ending. It was very interesting but it left me considering too much (I know, in certain cases that's a positive thing...), I'm still debating whether I liked it or not. 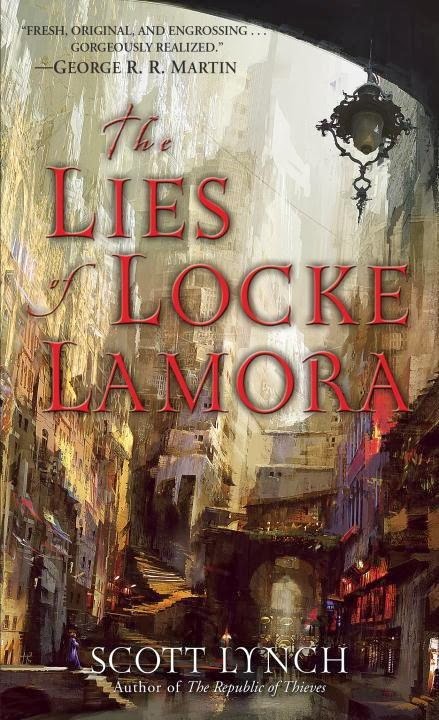 For Emperor of Thorns, the same narrative structure is used by Lawrence, alternating between the events of the present and a flashback storyline. Judging by the fact that it was masterfully handled in the two previous books, I'd say that the idea must have been a no-brainer. So the story picks up when Jorg's getting ready to finally attend his second Congression in Vyene, but this time, his motivations and dedication to sit the all-throne seem boundless. Accompanied by the Gilden Guard, he takes the road with a few advisors. As for the flashbacks, the story of Jorg's quest given him by the mysterious AI Fexler Brews resumes, sending him to Africa and back. At first, I thought that the flashbacks would have a lesser impact on the present story but I was happily deceived. 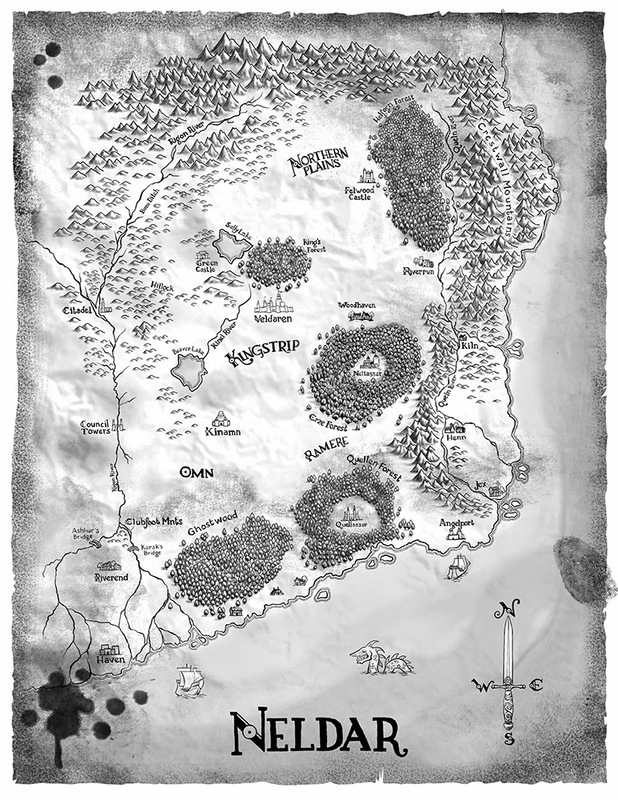 The whole plot doesn't revolve around a mystery as intriguing as the memory box in King of Thorns but the experiences and discoveries of Jorg are paramount to some events from King of Thorns and to several circumstances influencing what's happening toward the end of the book. Jorg's focus switch from his father and entourage to the whole Emperor purpose. The whole endeavor toward the rulership of the hundred kingdoms is seen with a completely different perspective in Emperor, Jorg never follow the conventions. Back in King of Thorns, Jorg seemed more mature in his goal toward power and when I say mature, I mean it Jorg's way. He was less frustrated but more committed and relentless to prove to everyone who had a key role in his growth that he was an avenger of blood coming back at them. But now, Jorg's life is different and whole new perspectives have been presented to him. His wits are sharper than ever and he has moved forward again but remains Jorg Ancrath and who can now stand in his way? At the top of the list of elements I enjoyed the most in Emperor of Thorns is the persistence and perspicacity of Jorg, he doesn't compromise his corrupt principles. 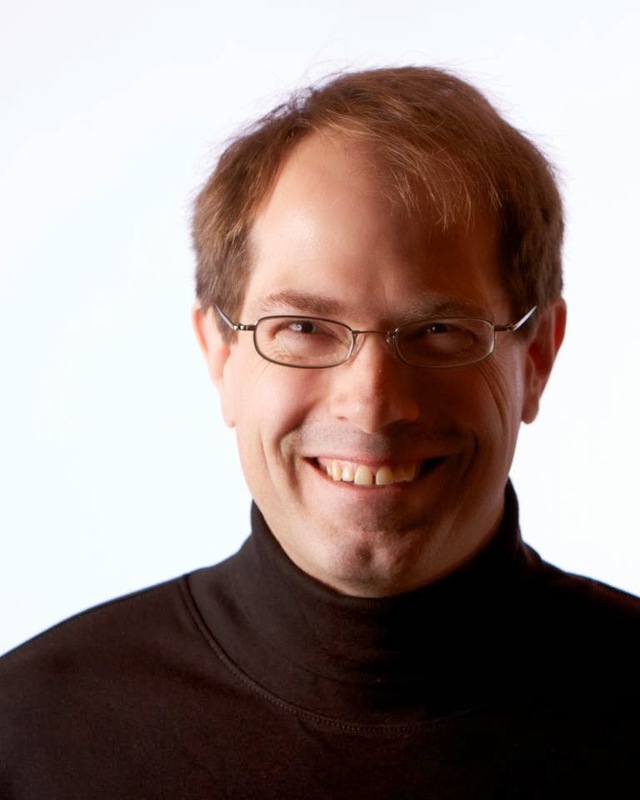 Even if at times he seems to become someone else, to care freely, to invoke a conventional conscience or to act like a human should when put into his situation, he always remains himself and Lawrence put us back in place with some shocking actions, bringing a devilish smile or creating a gut reaction. They can be stretched a bit but the twisted antihero, acting like it ought not to be considered, is what Jorg's all about. Also for a second year, I put a book from the Daniel Abraham's The Dagger and the Coin series as a runner-up for best book of 2013. At least this year, the review is done. 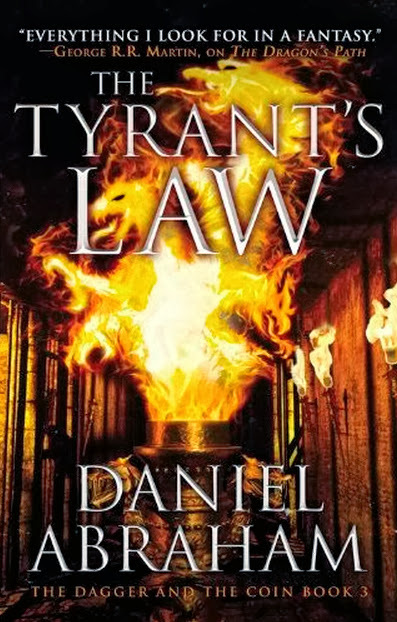 The Tyrant's Law may not have been the best book in the series so far but it kept my interest and expectations up and made me love even more the characters. I hope that this series will appeal to even more readers. For me, The Dagger and the Coin was definitely one of the best ongoing series in Fantasy back when I read King's Blood (I forgot to post a review but it was among my best novels of last year... I will remedy to it soon) and still is with the addition of The Tyrant's Law to the sequence. Abraham's opus doesn't read as a trilogy or as a series with bridging books but as a direct continuation from one novel to the next. The flow of his story is paced smoothly but in retrospect, you clearly realize that much ground has been covered, not simply in term of land traveled but in term of themes explored and characters traits scrutinized. What I especially like about Abraham's story and storytelling is the feeling of being lead somewhere full of surprise, not jaw dropping amazement but toward an unexpected outcome in which I will be able to grasp the circumstances leading to it and being awed at the pieces of the big picture put together, even if some are a seen from afar. Softly assessing the situation of all protagonists with both important and usual moments can be deeply immersing and revealing but also insipid at first glance. Moreover, getting this feeling while reading a high quality prose is more than satisfying. With three books set in this world where economy and relationship between nations feels more real than what were used to witness in Fantasy, the background needs less development but still feels fresh and full of discoveries. The author's choice of not delivering all the details of the various races is effective and slowly they are becoming more and more familiar. They now stand as one of the elements at the heart of the story. Add to the recipe politics, cultist advisers and finally the tease of still living dragons and you get more for your money than what it seems. More often that not, the debut authors who make name come as a surprise. This year wasn't different for me. 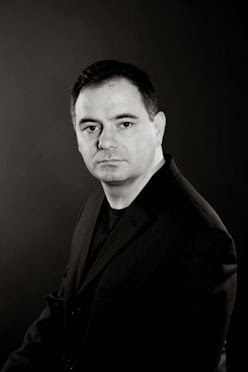 Anthony Ryan's debut, Blood Song, was released by Ace back in July. However, the book was previously released directly by the author in 2011/2012. Still, I chose to keep him in the debut category of this year. My review should be up soon. I easily jumped into Ryan's world and was compelled to follow Vaelin Al Sorna's story. I have read tales about a boy with a destiny being trained in an order but this one really manage to stand out of the crowd. Can't wait for the follow-up. Chris Willrich wrote several shorts before tackling a full length novel. You can read about it in the interview I made with the author (here). As you will gather with my review, The Scroll of Years really quenched my thirst for a great Sword and Sorcery story. Not only a great debut, but one of the best I have in the past years. Take two partners in crime with a conscience (you don't steal from just anybody you know), a fantastical setting and a troublesome and mysterious past and you get a canvas for a series of sword-and-sorcery stories with heists, adventure, magic, weird encounters and romantic mocking. That's the background of The Scroll of Years. I would recommend to every reader who picks up the book to start with the first Gaunt and Bone short story included with the book, The Thief with Two Deaths. I didn't do it and I think that it gives a great insight into Gaunt and Bone relationship before getting into the specific tale of the book. Willrich's prose is elegant, stylish and learned. It's not often that this level of skill accompany a sword and sorcery book and a debut at that. The Scroll of Years is a fast, fun and entertaining read, one of the first in the genre I liked this much since Alex Bledsoe's Eddie LaCrosse. 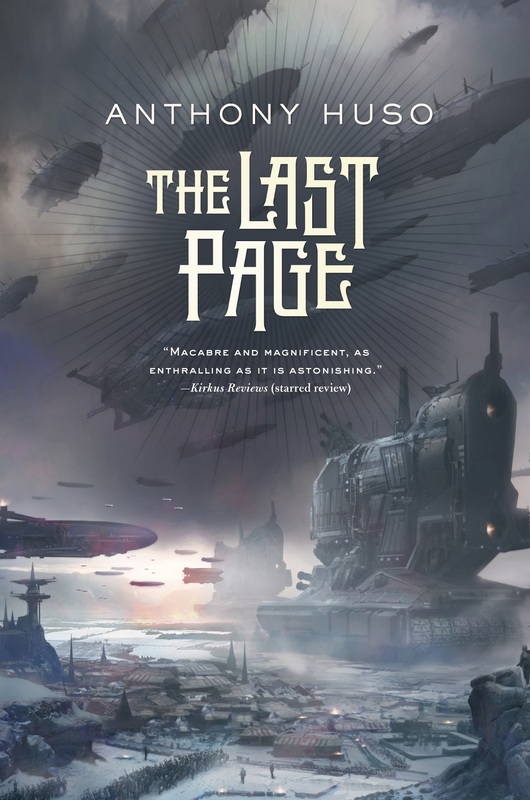 It came as a surprise and I recommend it to everyone with a knack for heroism, humor, ingenious devices, twisted dragon lore, poetry, fighting and skin saving while making morally dubious choices. Black powder and guns have shown up sporadically in Fantasy. In Promise of Blood, Brian McClellan chose to bring them at the forefront of an epic Fantasy story, flavoring a world where industrialization is taking its roots. In this world, magic takes many shapes, from the elemental basis to the absorption of powder, creating a whole new breed of mages. Incidentally, that last type of magic is quite reminiscent of Brandon Sanderson's allomancy. Promise of Blood is a solid debut. 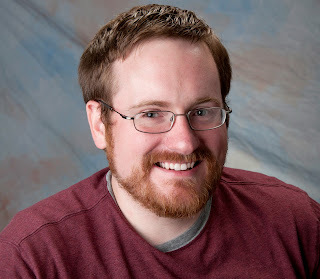 With the world and magic system set in place, I think that McClellan can now work extensively on the characters and story, which will certainly give us an even better novel next time. The author's prose is simple enough, straightforward and without unnecessary artifices but could use some more editing. Clearly, Flintlock Fantasy has found a promising new voice. I wish I could have read this book last year, it would have probably been my favorite debut of the year. 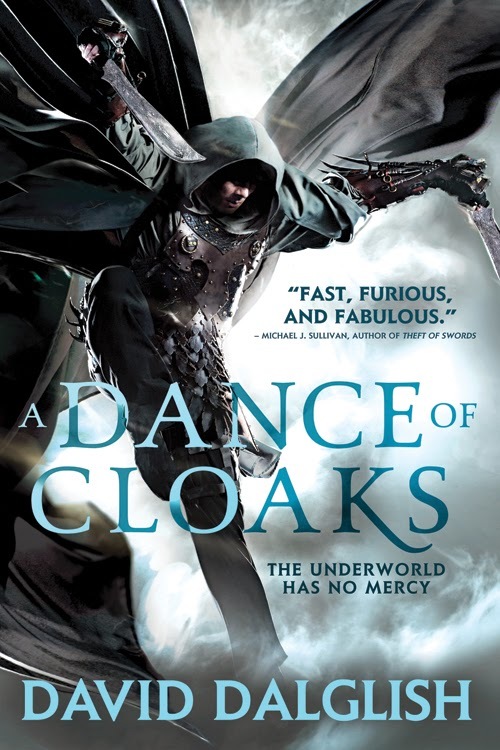 This book has to fall into the hands of every Fantasy readers. 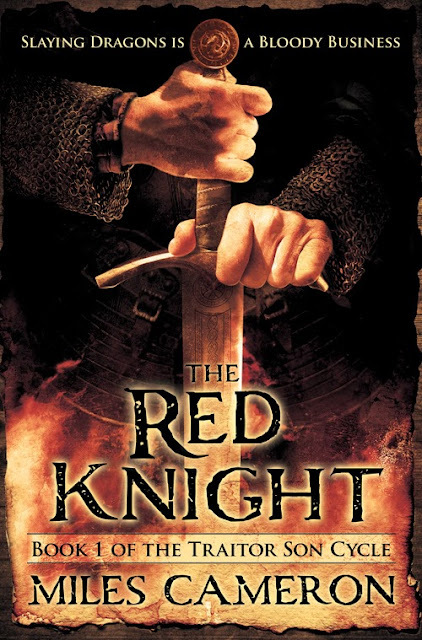 The Red Knight by Miles Cameron is a masterpiece of Military/Epic Fantasy. Unfortunately, early on, the Red Knight is kind of a mess, spreading out in numerous directions. 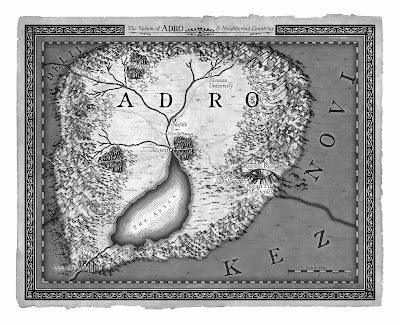 We are thrown in a world with a mix of familiar and unfamiliar locations and presented with a company of mercenaries, the community of an abbey, the woken forces of the wild, the surrounding of the King of Alba and knights from the another country. With several point of views and frequent switches of them in short intervals, it takes a considerable time to feel familiar with Cameron's cast. When everything falls into place, a great tapestry of heroic proportion finds its rhythm and takes you into a gritty ride leaving a score of fallen forces on the battlefield. From there on, I couldn't put it down. That rhythm of action sequences or masterfully choreographed/rendered fights is like waves; it comes and goes with the critical events of the siege of Lissen Carak, hold by the Red Knight for the Abbess against the wild. Undeniably, the most interesting perspective and characters are the Red Knight's own, his parentage being shrouded in mystery, and his entourage. The mercenary captain is young and reacts like a empowered journeyman showing his age as he stumbles with a wide range of feelings, from love to death, hope to resignation. His gang of mercenary brothers is reminiscent of Glen Cook's Black Company or Steven Erikson's Malazan marines. The Red Knight can't be considered as a beacon for the new 'grimdark' category but it's still epic fantasy with grit and gore (and dumb and immoral archers...). Representing life and battles in such a medieval outlook ought to give it this epithet. 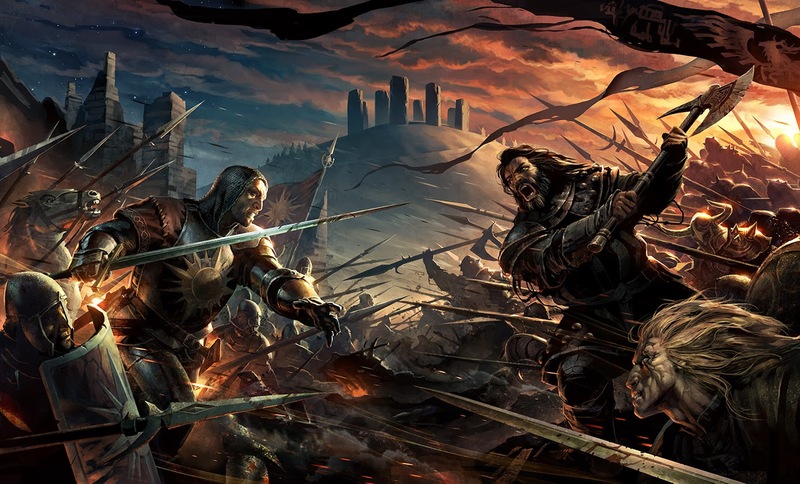 In a previous poll, I asked readers which genre fits best with epic fantasy and the most popular answer was military. If you're in need of a dose, this book will satisfy your appetite. I couldn't finish without some Malazan love! Don't worry, it's not simply the Malazan fan who is writing but also the reviewer. I won't say that Forge of Darkness is an easy read or an easy book to love but if you put just a little effort into it, you'll be more than rewarded. Forge of Darkness is not really the Malazan Silmarillion, but it tries to recount, with a story seen through the eyes of so many protagonist, the genesis but mostly the unfolding of the Tiste races, the warrens, the elder gods, dragon soletakens, Jaghut individuality and more without focusing on any of these particular features. Several quite different introspections take place, occasionally too much of them, but at the end of the day, it's the story of war veterans would can't find purpose in peace and the usual reach for power. Although in this story, we already know that the consequences are world shattering. Lots of fascinating prospects are created for the follow-up with the Azathanai actions and Urusander legion re-establishment. If you have read Malazan books, the characters and the lore presented in Forge of Darkness will feel satisfying but also troublesome. 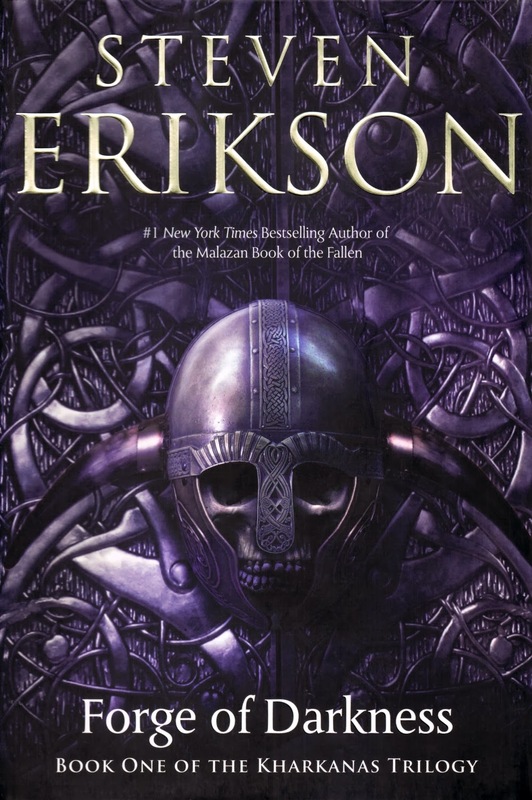 The pleasure of reading about Draconus, Caladan Brood, Osserc, Spinnock, Malice or Gothos in the time period Erikson put them in is amazing but for quite a few of them, history seem to have twisted their origin. New readers won't mind and Steven said to have keep faith in him. We will see with the next two books if he's right but simply putting the narration in the hands of poets who have their own interpretation of the events is somewhat perplexing. Anyway, if the tale and characters are compelling, is rectitude really necessary? If you ask yourself if you should pick up the book, the answer will be simple. Do you really want to miss on a good plot with action set in a distinct setting where the cast is the cream of the Malazan history and they are jousting for their place in Kurald Galain, reveal secrets and create myths? Certainly not but as is the case with Erikson previous writing, there may be times when the choice of point of view is arguable, philosophical tirades are within the reach of every character and the well-versed prose can be complicated at times. Still, Forge of Darkness is rich Epic Fantasy, less wide in scope than its predecessor but ambitious, loaded with insightful wit. River of Stars & Emperor Of Thorns - can't argue with those 2 choices at all. Kay hasn't gotten nearly the recognition he deserves on all these year-end lists, but there really just is no comparison. Where you find that cover for The Heroes? The covers of the book here in Singapore are nowhere near as good as that. 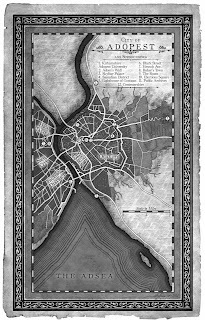 Honestly, I'm going to read the shadowdance series and Promise of Blood just because of those maps! !